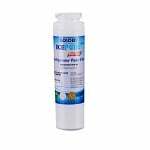 The IcePure RWF1500A is the compatible replacement for the GE 238C2334P003 Refrigerator Filter. The IcePure RWF1500A is the compatible replacement for the GE 101820/A Refrigerator Filter. The IcePure RWF1500A is the compatible replacement for the Kenmore 46-9914 Refrigerator Filter. 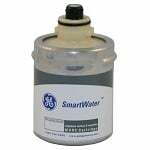 The Kenmore 9905 R is a refrigerator water filter cartridge that is the correct compatible replacement for the following: GE MXRC The Kenmore 9905 Comp. Replacement Water Filter fits all older GE and Hotpoint refrigerators with water filters. 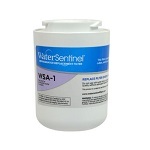 The Water Sentinel Refrigerator Water Filter replacement features a powerful carbon block consisting of millions of active sites effective at absorbing sediment that may be present in your drinking water.